When we talk about "old school" marching band we are really talking about shows involving Bill Moffit's Patterns of Motion. There is another post that discusses what patterns of motion is in greater detail, but I felt like I should devote an entire post to squad spacing because it is so vital to marching old style drill. Another great thing about squad spacing is that it can be used as a point of reference when marching even the most modern drill. When I'm working with bands and drum lines, I seem to yell about spacing more than anything else. Spacing is everything when it comes to any activity involving a group trying to achieve the same goal. Turn on a team sporting event, or even sports talk radio, and just count how many times they talk about "spacing on the floor" or "the spacing on the offensive line" or "do you see how they just can't get the spacing right?" As a hugh fan of the LA Lakers I can tell you that I hear about "spacing on the floor" so much that it has worked it's way into everything I do on the field or floor. As a tech, it's important that you spend a considerable amount of time thinking about spacing. Really think about what that means "spacing." It's not just some buzz word, it actually means something. Wow, so that's what it means! To put it in the context of our activity, spacing is the distance between two people on the field, or maybe even between a marcher and a marking on the field. And when we get further into it what we are really talking about is uniformed spacing throughout a form. In other words, the distance between person A and B is the same between person B and C and the same between C and D and...okay yeah you get it. Without this uniform spacing the forms look weird. Another term we use for this is interval. However, I do think there is a difference. Spacing doesn't necessarily have to be an exact measurement, we do not have to relate it to a set distance. We can simply say, "see that space there, now make your space the same as that space." Interval to me is a defined distance that is absolute. A 2 step interval is always a 2 step interval no matter what. That being said, the average 15 year old kid with braces and a horrible case of acne isn't going to hold you feet to the fire on this slight discrepancy and besides as long as he (or she) ends up in the right spot who really cares what word you used to describe it right? We sure can! Squad spacing is set spacing between four marchers. We will define them as marcher A, B, C, and D and they are all members of squad 34. Squad 34 takes pride in their spacing and since they've read this post they never screw up (although B is a freshman and still can't quite halt correctly every time, but we will pretend that he nails everything. To further analyze it: A is 1 step from the 40, B is 3 steps from the 40, C is 5 steps from the 40, and D is 7 steps from the 40. OR A is 7 steps from the 35, B 5 steps, C 3 steps, D is 1 step. Bored yet? Basically, all 4 marchers line up in between the 35 and the 40 at a 2 step interval with the outside guys 1 step off the yard line. THIS IS VITAL: no one is on the yard line, and no one is splitting the yard lines. This is a key principle to squad spacing. Football fields have all kinds of markings on them to help officials call a game. In fact, any lines or marks you see on any sports surface are there solely for the refs, umpires, judges, whatever you want to call them. You can play basketball, baseball, football, rugby, and even lawn bowling without a marked court or field, but in order for the game to be judged appropriately these marking exist. And to blow your mind even more, no matter what field you go to all of these markings are the same and for the most part are always in the same place (with the exception of hash marks between high school, college, and pro). Squad spacing becomes easy when you use the markings on the field and it becomes a great tool to teach your band members how to use the markings on the field to guide a show. Holy Crap! Look at those yard marks! Now let's clear this up too, if you look at the front sideline of a football field their are 4 yard ticks in between the yard lines (that's because you don't need a 5th tick since the yard line is there [incidentally you'd be surprised how often people get screwed up by this]). B is 3(22.5)= 67.5 inches off the 40. This is 1.875 yards from the side line (so close to be centered on the 2nd tick but just a little outside of it (4.5 inches to be exact). An easy way to visualize this is to say that his left pinky toe would be touch the outside of the 2nd tick. If you know how to use the field it makes it even easier to guide, especially when now you have the field and the form to guide too, pretty cool if you ask me! Well the easiest way is to say, so you can teach a patterns of motion show (which by the way is super cool when you think about it). But it also is a great way to set a block, line up in squads (4 marchers) at squad spacing and take off. It's great for individuals to get used to what 2 steps feels like, and it's great to teach how to use the field. Most importantly, it makes it easy to keep track of the band. If you have a large ensemble you can split them into squads of 4 and then have a squad leader who is in charge of the other 3 guys. This makes attendance and accountability so much easier. But I think when it really comes down to it, it's about putting the marchers in a position to learn what spacing is and what it feels like. It's a great tool that you can implement into your own program. The greatest marching drill EVER! Photo used without permission...I am above the law! Circle drill is great because you can adress almost every aspect of marching with it. The set up is simple, it can accomodate almost any size group, and the tech or caption head can watch and analyze from the center! Put a group of marchers (it could be the brass line, or just the trumpets, or the guard, or the whole battery, or the woodwinds and guard, or the whole horn line, or the whole band if there is enough space, etc...you get it) in a circle. 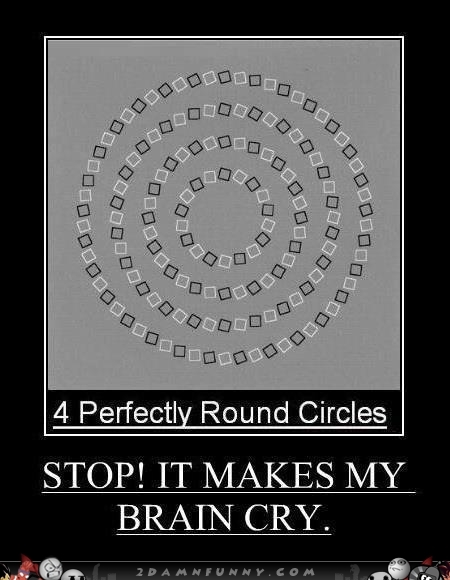 This can be tricky at first because for this to really work it's important to have a well formed circle. If you can, paint a circle on the field or if you have a basketball court you can use the center court circle. Have them face in and then dress right and dress left. This is good also because they will begin to recognize guiding a curved form. I always like to start by marking time for 8 clicks and then 16 clicks. I'll do this 8 and 16 segment 3 to 5 times at a moderate tempo (say 108-120). This gets the group used to hitting the heel with the click. This is your chance as the tech to address the carriage and posture while also making sure each member is capable of feeling the time in their feet. Have them halt at the end of every 8 and 16 click pattern and dress left or right (switch it up). This gets them used to halting with the click and in the habit of dressing the form at the end of any sequence be it circle drill or running sets on the field. During these drills make sure to check the carry, address guiding with the eyes, toe heights, etc. Also, VARY THE TEMPO! Don't stay at 120 the whole day, everybody will be bored!!! These are designed to get the ensemble used to changing direction during sets. Let's make it even cooler! Backward 8-Rotate right 8-halt-"dress"-"ready front"
You get the idea? You can get real creative with this too! Challenge the band with instructions, encourage them to help each other out with the counts. Have them yell the counts and maneuvers as they do them. Don't just give commands and have them execute the same way every time. Say "here we go, help each other out and count out loud." Then the next time do the same drill but, "it's on you! count in your head and focus. We are looking for zero mistakes, you got this!" Stay excited, and positive reinforcement is key. Push-ups don't hurt either! Now you can incorporate all kinds of things into the drill. Have them march a back 8, rotate right 8, back 8, rotate left 8, forward 16, rotate left 8 and halt. BUT have them snap the horn up and down at the beginning of each segment. Circle drill can be used to check every aspect of marching. From the carry of the horn to touch and go's to step size, guiding, etc. Make it a regular part of your marching warm up and watch how much better you group gets!